The 2020 Gnu Head Space is as popular as ever, satisfying the need for a softer cambered flexing board that can ride all terrain but still destroy the park and urban features with ease. Designed (and decorated) by pro rider Forest Bailey, the Head Space is a board that can carve the groomers in the morning and head to the park in the afternoon for some fun laps or serious progression sessions. Featuring an asymmetrical construction, Magne-Traction edges, and the GNU take on positive camber, the Head Space will hold a solid edge and carve like crazy, while still being soft and playful when you want it to be. This is a jib-focused all-terrain board that boosts progression, in and out of the park. 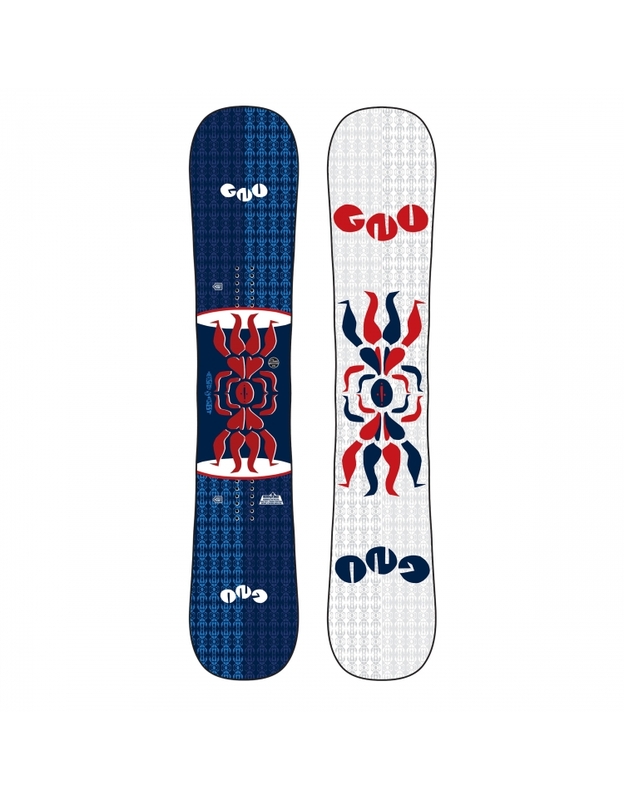 Very mild rocker between your feet with powerful camber to the tip and tail. This is Mervins version of traditional camber, offering maximum edge hold, pop, power, and precision with extra float and carve. Strong, fast, holds wax well, and environmentally friendly. 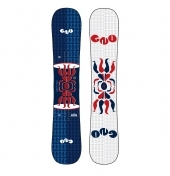 Glide over flat spots and wet spring snow with less drag and more speed.